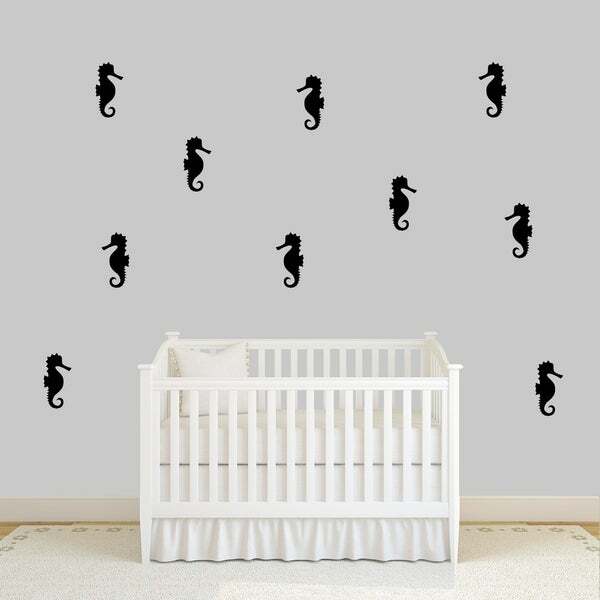 This fun under the sea set of seahorses is just adorable. Perfect for a theme for a nursery or kids room. Even a fun bathroom decor idea! This will come with ten seahorses that you can cut out and place around your space. Such a simple way to create a great feature wall. Dimensions 5.0 In. X 10.0 In.